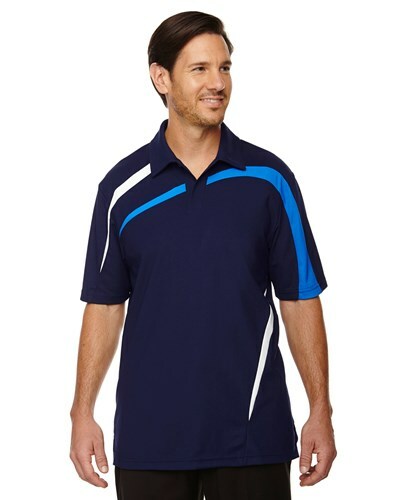 The Ash City Impact Performance Polo is a sporty shirt that will look good on the lanes or at the office. With a variety of colors and features this is going to be the goto shirt in your closet. Hello Joe! No, unfortunately the text can only go on the sleeves or on the left or right side of the chest. Due to the time it takes to produce the Ash City Mens Impact Performance Polo Night/Light Nautical Blue/White ball it will ship in 1-2 weeks. We cannot ship this ball outside the United States.